Parents are invited to join us on the trail where, together, kids and parents will learn the dos and don’ts of exploring outdoors. 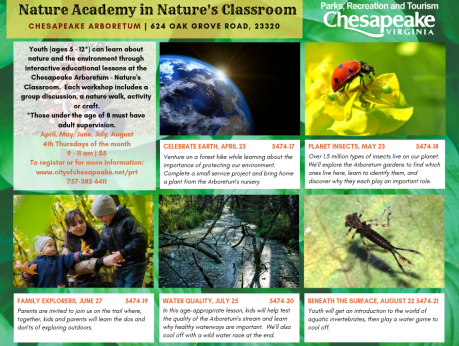 Youth (ages 5 - 12*) can learn about nature and the environment through interactive educational lessons at the Chesapeake Arboretum - Nature's Classroom. Each workshop includes a group discussion, a nature walk, activity, or craft. 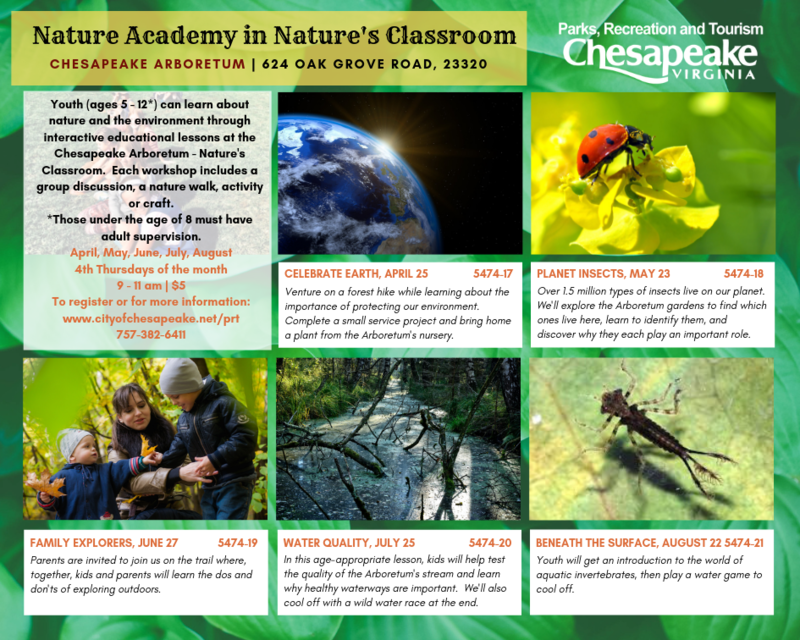 To register online, visit http://www.cityofchesapeake.net/prt or you can register in person at the Chesapeake Visitor Center located at 1224 Progressive Drive, Chesapeake, VA 23320. **Children under the age of 8 must have adult supervision.